As a youngster I used to listen to Amy Grant and Michael W. Smith all the time, they were some of my favorite christian music when I lived in Odessa, TX and Durango, CO. Then, when our family moved to Tulsa, OK I had an opportunity to see them in concert together at the Maybee Center. I was so excited, it was a double date with my best friend Lisa and our boyfriends. Fun concert and lots of great memories were made, I think I actually saw them both in concert many times separately too and guess what? 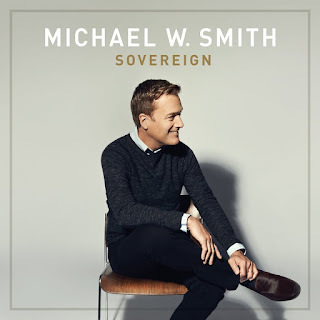 Michael W. Smith is still making great christian music today. He released a new CD earlier this month called Sovereign. Today, a brand new video was released called "When the Sky Spills Over" please check it out and tell me what you think about it. Enter below to win your own CD of Sovereign!